Use Online SurveySites For Free! Reap the benefits of implementing free online survey sites with your research. 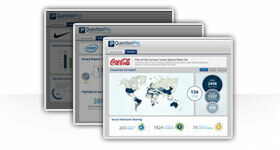 Sign up for a free QuestionPro account! 3. Start from a clear template. If you're working on a tablet or smartphone, you can easily create and distribute questionnaires, for QuestionPro is fully optimized for mobile. 1. The Template Library: QuestionPro has a huge survey template library that contains many types of surveys that cover customer service, academic assessment and human resources. QuestionPro is one of the only online survey sites that offer such a large selection, which can be found here. 2. Uploading: If there's a template or a complete survey that you already have and would like to use, you can easily import it directly into the editor using Microsoft Word. 3. Starting Blank: You can always start from a blank template as well, selecting various question types and customization options for your survey. Surveys that deal with employee satisfaction are very important, for they help to identify problems that may not be visible in the workplace. These issues can be affecting workplace morale and productivity. If you own a business, you'll definitely want to know how your customers feel about your store. Questions typically included are those dealing with product selection, pricing, knowledge of staff and overall store environment. Let's say you're a teacher and you want to know how your class is going. You can issue a survey to find out if there are any subjects you might need to cover in more detail. If your company is doing research into a new product, you should definitely be gaining the opinions of the potential market you plan to target your product at. This can save loads of time and money. Step 3: Choose which method you want to use to create your questionnaire. You can either pick a survey template from the template library to edit and customize, upload an existing questionnaire that you'd like to use or just simply start from a blank template. For customization, you can change the theme, fonts and even add your own logo to personalize it. What's the method used for creating an account? Are you able to use your email and social media accounts for signing up? Once you're logged in, what options do you have for survey creation? Can you pick from a list of questions that vary from simple to advanced, in addition to various options for personalization that include adding logos and changing the fonts or colors? How big is their survey library? Does it cover a wide range of topics like customer service and human resources? What if you have a template you already have and would like to use? Can you easily import it? 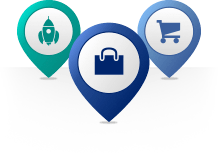 With QuestionPro, you can have all of these, plus more. Once your survey is created, what can you do in terms of distribution? 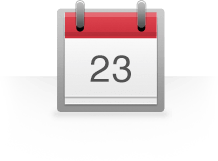 Can you easily upload a list of email addresses to send your survey off to? What about social media channels? 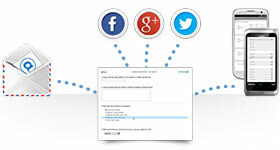 Can you easily share your survey on Facebook or Twitter from within the interface? What if you need a QR code that links straight to your survey? Does the provider give you custom HTML code so that you can easily embed it into your website or blog? You can do all of these features with QuestionPro and more. 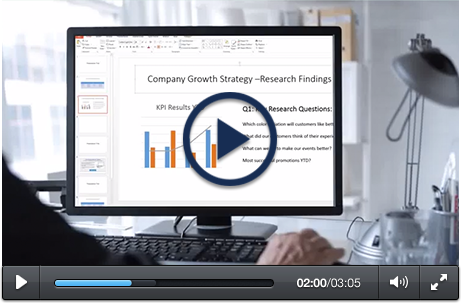 As your survey responses are arriving, what can you do with the information? Can you view your incoming information in real time, such as how many people finished your survey and the average time it took for all of them to complete it? After you've gathered all of the information you need, what are you able to do with it? Do you have data visualization tools to create infographics and word clouds with? Or how about creating data filters and cross tabs? What about performing various analysis such as trend of TURF analysis? 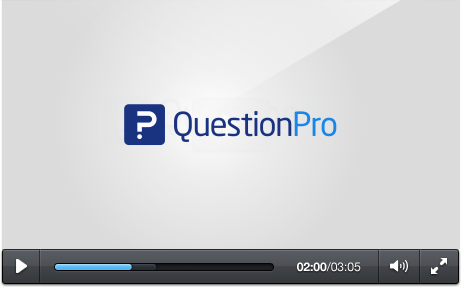 When you go with QuestionPro, you can easily do everything mentioned above and more! 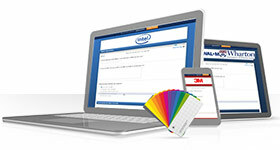 Once you're logged into QuestionPro, you have the option of selecting three different survey creation methods. You can choose a ready made survey from the template library, upload a questionnaire that you may have already or start from a blank template. Once you have your questions down, you can personalize your survey by changing the fonts, colors and even adding your own logo. You can use question logic as well, allowing users to skip certain questions based on their previous answers. When your survey is ready to send out, you have many options for distribution. You can quickly and easily upload email addresses for mass-delivery. You can create QR codes that link right to your survey, you use the provided HTML code to embed your survey straight into your website or blog. If you happen to be working offline, you can download the QuestionPro app before you do to allow easy administering of your survey. With responses starting to come in, you can perform a number of things with your data. You can start by creating infographics and word clouds to professionally represent your information. For analysis, you can perform in house analysis such as trend and TURF analysis. You can also filter data and create cross tabs/pivot tables. If you need your survey results backed up to the cloud, you can easy send them to Dropbox or Google Docs.